The latest edition of a classic text. Incorporates all the latest advances in dynamic stratigraphy. Will remain the textbook of choice for upper level undergraduate and graduate students in sedimentology. 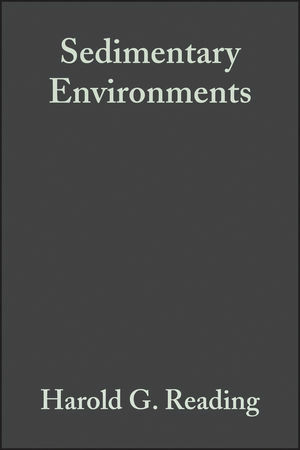 Harold G. Reading is the author of Sedimentary Environments: Processes, Facies and Stratigraphy, 3rd Edition, published by Wiley. 2. Controls on the sedimentary rock record (H.G. Reading & B.K. Levell). 3. Alluvial sediments (J.D. Collinson). 4. Lakes (M.R. Talbot and P.A. Allen). 5. Desert aeolian systems (G.A. Kocurek). 6. Clastic coasts (H.G. Reading & J.D. Collinson). 7. Shallow clastic seas (H.D. Johnson & C.T. Baldwin). 8. Marine evaporites: arid shorelines and basins (A.C. Kendall & G.M. Harwood). 9. Shallow-water carbonate environments (V.P. Wright & T.P. Burchette). 10. Deep seas (D.A.V. Stow, H.G. Reading & J.D. Collinson). 11. Glacial sediments (J.M.G. Miller). 12. Volcanic environments (G.J. Orton). 13. Problems and perspectives (H.G. Reading).